The science is clear: nutrition is the single most important determinant of health and a strong influencer of cancer expression. Emerging research indicates that cancer is not simply a binary hereditary disease, but a complex chronic condition occurring along a spectrum of immune and metabolic function with many factors impacting risk, onset and severity. 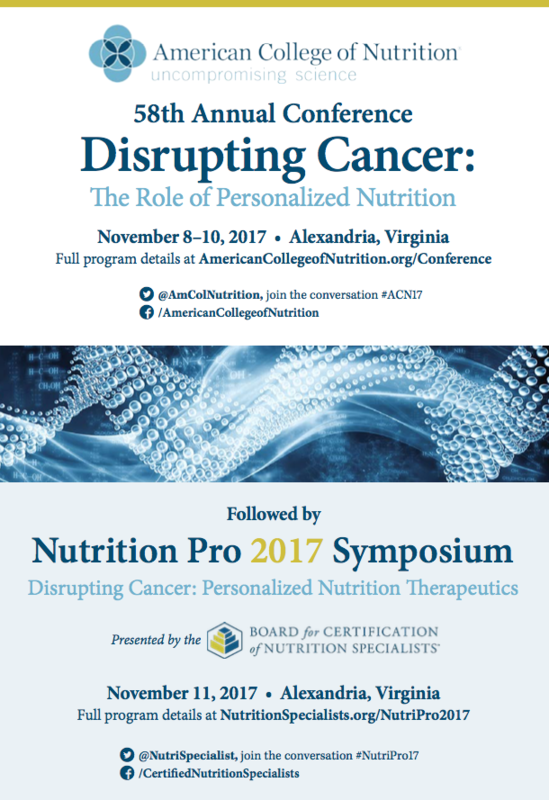 The personalized nutrition paradigm is poised to disrupt both the narrative of cancer and the methodologies we employ in its treatment and prevention.